Keep track of characteristics, conversations, and, of course, kisses for all your dating adventures. There was the one who brought a friend along on your first (and last) date. But then there was the one who wrote you a song. 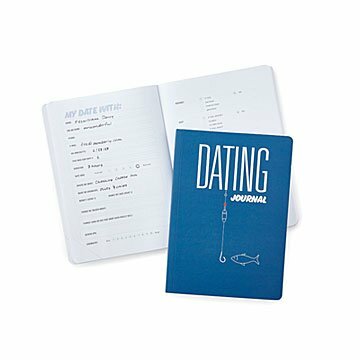 Dating is an adventure, and this journal will help you keep track of characteristics, conversations, and, of course, kisses. Rank dates on categories like chemistry and sense of humor, and jot down details that'll help you decide whether or not to go out with them again. There's even a "Delete" tab on each entry, for those you hope moved to Siberia. It's a fun gift for the single friend who always has the best (and worst stories). Made in China.